UPDATED: Mon., Feb. 20, 2017, 9:48 p.m.
Idaho lawmakers on Monday approved an emergency appropriation of $710,000 to expand the state’s boat inspection stations to check for invasive quagga and zebra mussels. The money will allow the state to add three new stations, dawn-to-dusk operations and three employees in the current budget year. “This gets those stations up and going between now and the end of our fiscal year June 30,” said Sen. Shawn Keough, R-Sandpoint, co-chair of the budget-writing Joint Finance-Appropriations Committee. “And then we as a committee will deliberate on what happens July 1,” when the new budget year begins. The three additional stations will be on state Highway 3 near Rose Lake; on U.S. Highway 12 near Lolo Pass or Lenore; and on Interstate 15 near Spencer or Roberts. All are aimed at intercepting boats coming from Montana, where the invasive mussels first were detected this past fall. They’ve already been found in numerous other states, but the Northwest has thus far remained mussel-free. The tiny, fast-spreading mussels can cause millions of dollars in damage to irrigation intakes, pipes, dams, beaches and landscapes. Since Idaho began its boat inspection program in 2009, it’s found 164 vessels fouled with the mussels, They’ve been decontaminated, and no mussels have been found in Idaho waters. Keough and Bell worked together on the emergency appropriation bill, after learning of a major budget shortfall in the program this year. With lawmakers pressing to expand hours at some of the inspection stations even further – possibly to 24-hour, seven-day operation – an even bigger budget shortfall looms next year. “We have legislators who feel very strongly that we need 24/7 around the southeastern border around Bear Lake and Twin Falls,” Keough said. A legislative working group has recommended taking six of Idaho’s stations to 24/7 operations. 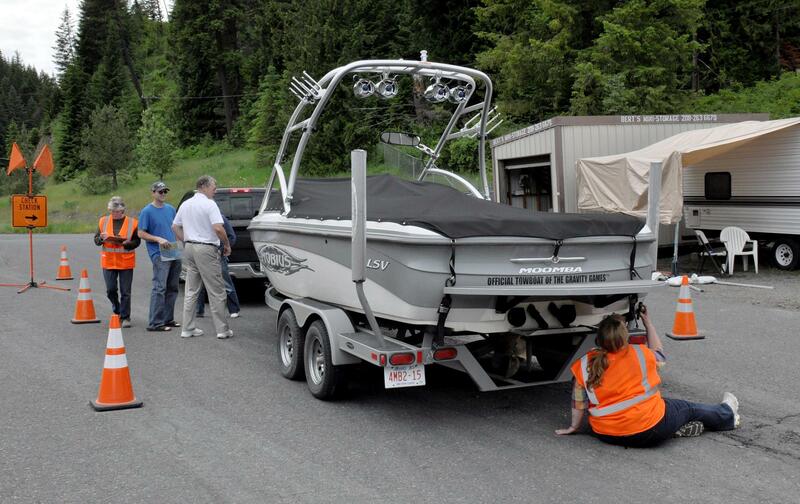 The state currently has 15 boat inspection stations; the three additional ones will raise it to 18. Until now, the program largely has been funded by an invasive species sticker that Idaho boaters must buy each year. The stickers, which have been raising about $1.1 million a year, cost $7 for non-motorized craft, including canoes and kayaks; and $10 for Idaho residents’ motorboats, with the fee rolled in with annual boat registration fees. Out-of-state boats are being charged $22 a year; legislation now in the works would raise that to $30, but that would raise only an additional $120,000 to $130,000 a year. The supplemental appropriation cleared JFAC on a unanimous, 20-0 vote. It still needs approval in the full House and Senate and the governor’s signature to become law. It includes an emergency clause, making it effective as soon as it’s signed into law; the state hopes to open the new inspection stations as soon as possible. Published: Feb. 20, 2017, 4:16 p.m. Updated: Feb. 20, 2017, 9:48 p.m.